It’s tempting to make big investing bets, but diversity is the key to success. You can beat the house by just adding simple strategy to your investment plan. A case in point . . . 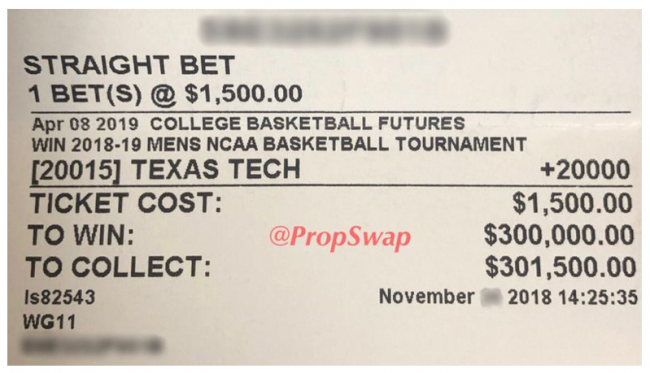 I can’t imagine making a $1,500 bet on Texas Tech in November. Or the hangover you’d have today after watching a $300,000 gain slip through your fingers in OT last night. A lot of folks seem to be making the same wager. The S&P 500 is up 14.9% so far this year. The NASDAQ Composite has gained 16.4%. The Dow Jones Industrial Average is up nearly 11%. Judging by the market gains, investors are betting that earnings will grow by double-digits by the fourth quarter. That flies in the face of consensus wisdom. S&P 500 earnings will drop by more than 4% in the first quarter. With any luck, they’ll be flat in the second. They might grow by 2% in the third and, with any luck, they might grow by 8% in fourth. No matter how you do the math, that doesn’t add up to double-digit earnings growth in 2019. Which means stocks probably aren’t making huge gains this year. There’s a good chance stocks could even end this year down. If you’re trying to MAKE MONEY, you can’t take long shot bets. You need to spread your money around, then you can profit no matter which “team” comes out on top. Hopefully you’re not making any big bets on any one team. And every time you buy a stock, you’re betting that the company’s stock is going to go up. And up and up and up. Unfortunately, no bet is ever a sure thing. But with our Simple Overnight Trading System, you can make your portfolio pay off by spreading your bets around. To the tune of 20% or more, with some simple trades, quarter after quarter. And your money is only at risk overnight – or a few days at a time. You don’t have to wait five months to find out if your bet’s paying off. All you have to do is incorporate a new, simple strategy in your system. And you can use this simple strategy with a trading account of any size. Unlike the poor guy that bet on Texas Tech, then lost it all in overtime. Sign up here for all the details.